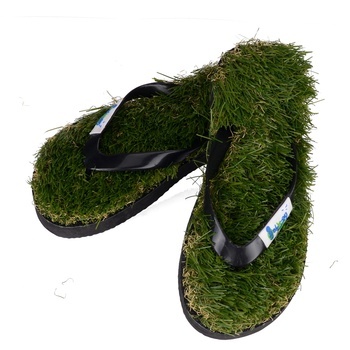 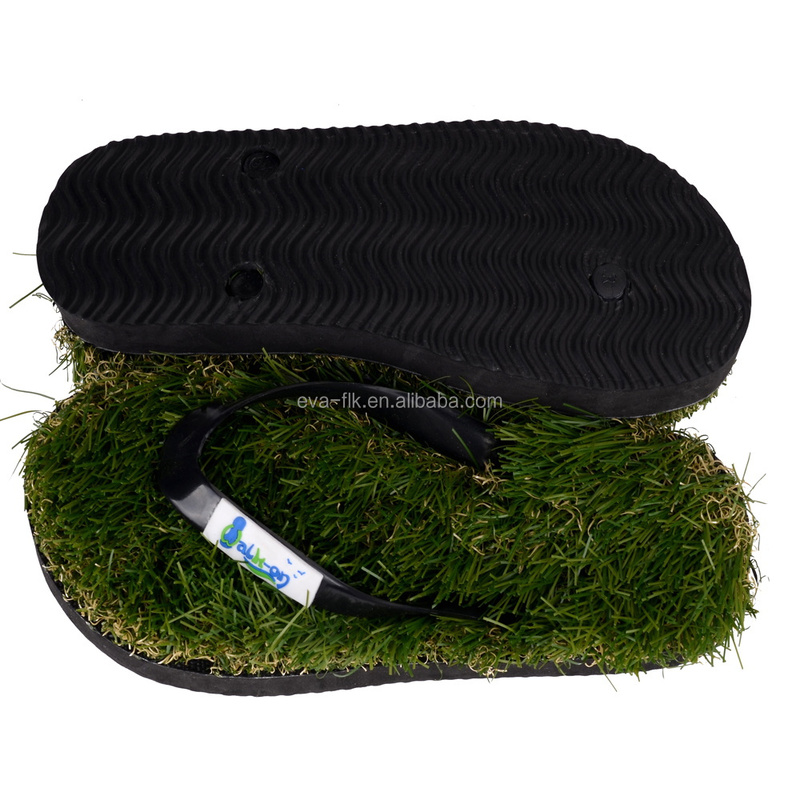 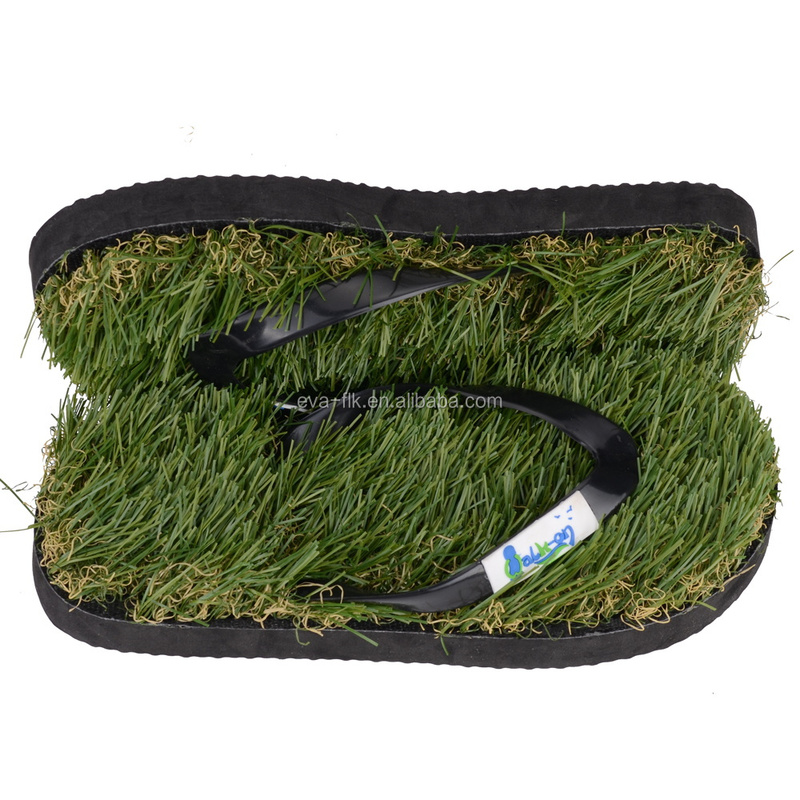 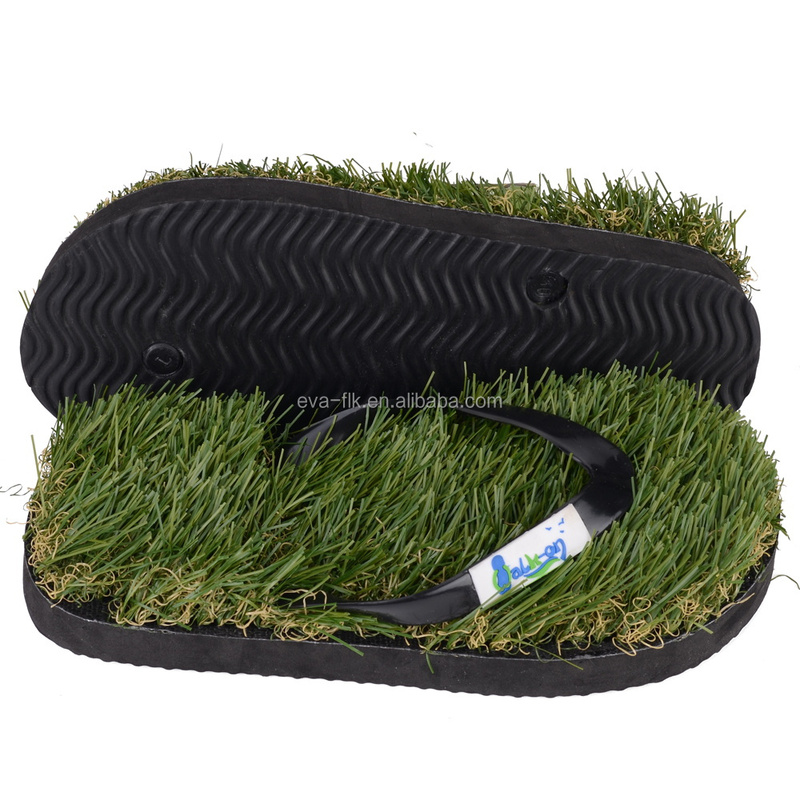 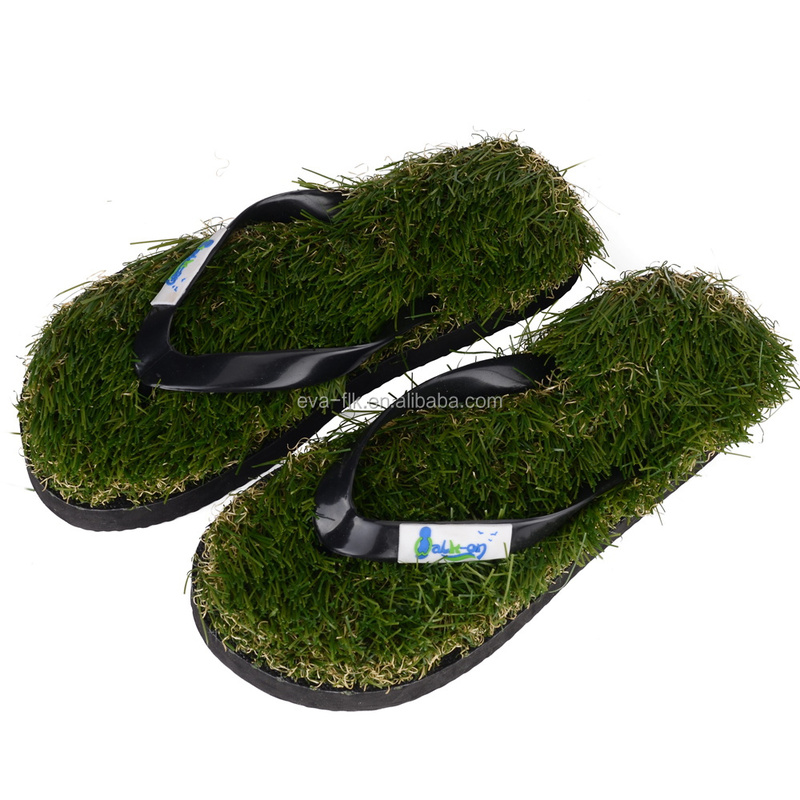 Material: EVA sole+25mm grass +PVC strap. 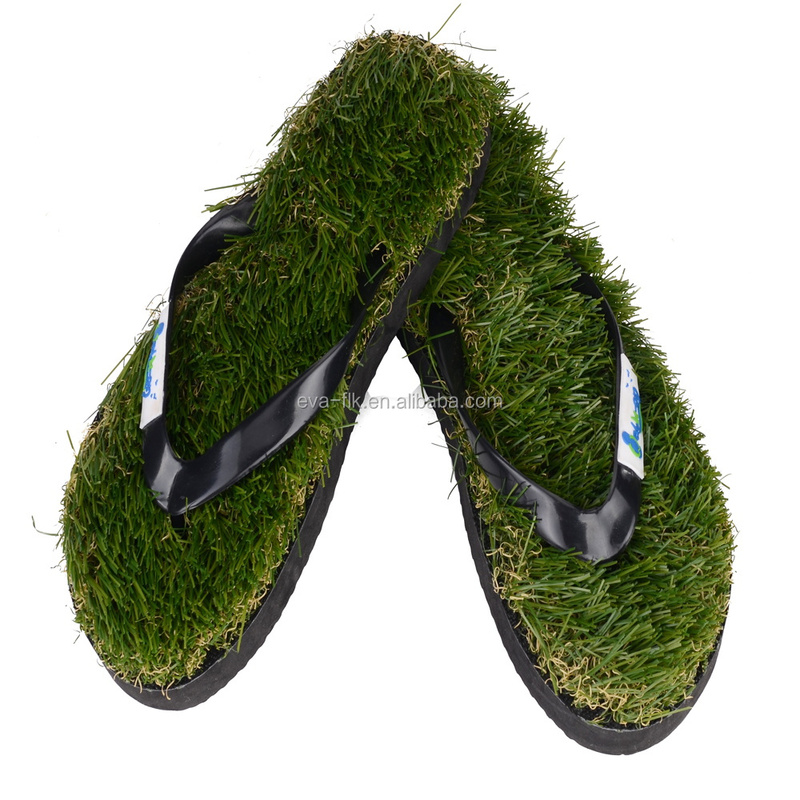 Color: green, or the colors you need. 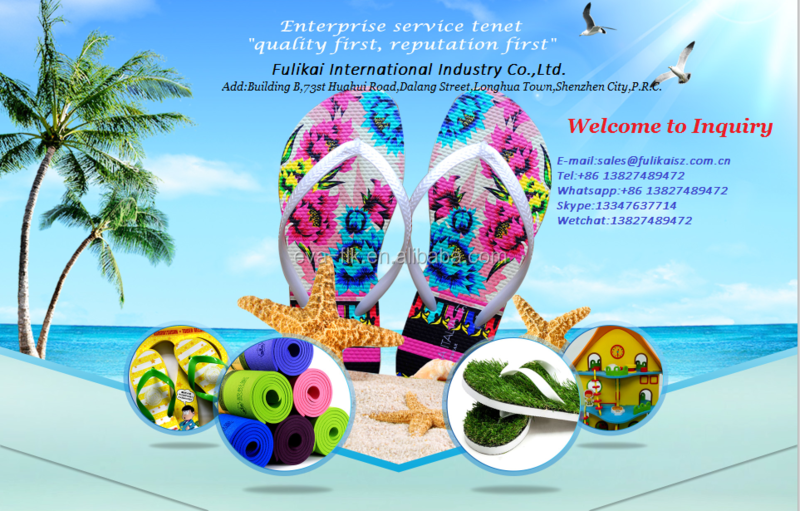 Logo: The logo can be printed in the slippers as your request. 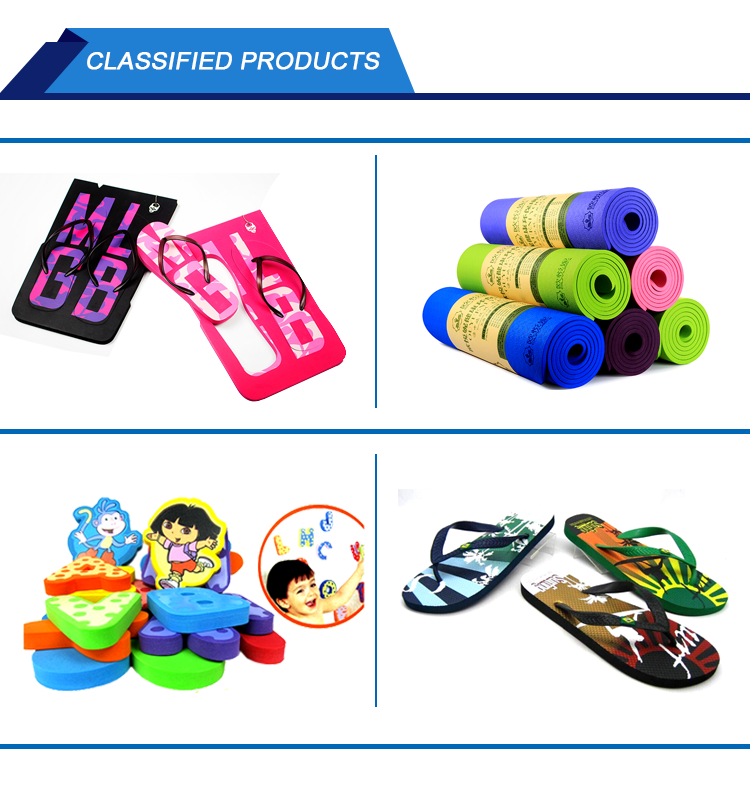 Samples Times: about 5-7days after get your design and request for the goods. Packing: Each pair in a poly bag then 50pairs put in a carton.